Are you looking for crafting fun? Suitable for all the family with no mess? With the wet weather days happening a lot in the United Kingdom at the moment and the long summer holidays fast approaching, I have the ideal craft kit suitable for all the family. Forget the paint on clothes, glue on tables, crayon on walls, and playdough crushed into the carpet, I have found a mess free craft which provides hours of fun. We were recently sent the The Bandai Badge It Badge Maker. It is a badge kit which is targeted at children aged 6+. 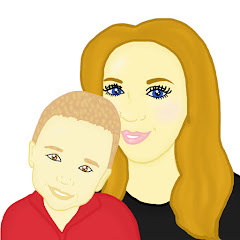 Maxwell is a little young to use the badge maker at the moment due to small bits that he could choke on and the sharp backs being able to hurt him however he did help with things that I felt were suitable for him to get involved with. After reading the instructions, I found that they were clear to follow and they included diagrams which I believe helped me get through the badge making process. Although the badge making unit is made of plastic it is actually very strong. I found it quite hard at times to turn the wheel on the top to create the badges in the maker. The set came with some ready printed circular pictures for making badges which were in funky designs. Alternatively, there was a template that could be used to cut pictures from magazines which I believe could put a unique twist onto any badges people would like to make. This product would be great for not only children but for other people who need badges such as teachers, companies and at conferences where you need named badges. I also think the badge it would be appropriate at children's parties as you are able to make badges in a matter of minutes. The only thing I would like to change about the Badge It is that I think that they should offer the badge set with plastic backs as well as the pin backs so that younger children are able to wear the badges too and get involved with the Badge It fun. Overall I would rate the Bandai Badge It Badge Maker 4/5. 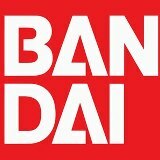 To find out more about The Bandai range follow them on Twitter or like them on Facebook.